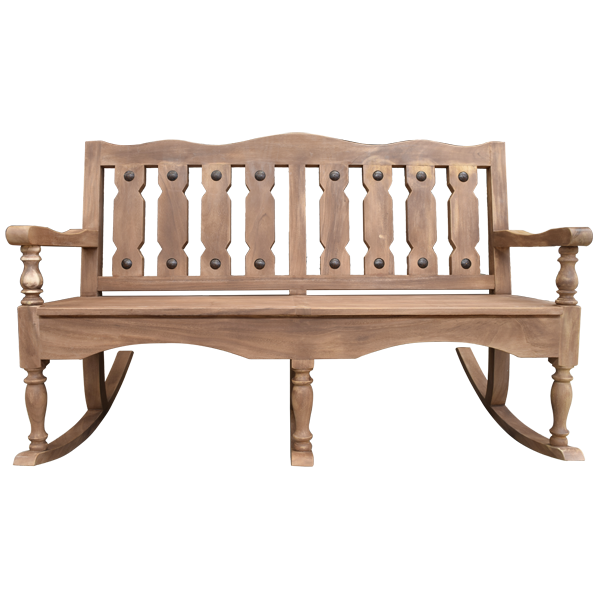 This graceful, handcrafted, bench with rockers is perfect for your porch, your sunroom, or your covered patio. The bench has a rectangular, solid wood, framed, seat back, and the seat back is adorned with spaced, geometric shaped splats. The top and bottom of each splat is adorned with a hand forged, iron concho. 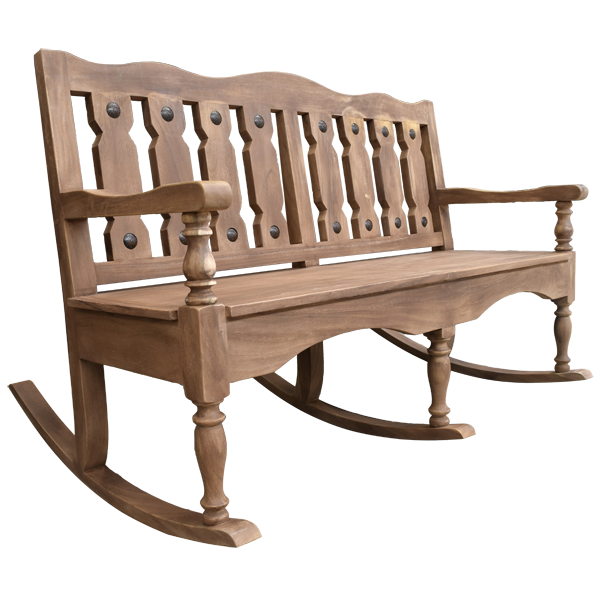 The bench has a wide, solid wood seat, and the seat is accompanied with elegant, curved armrests. 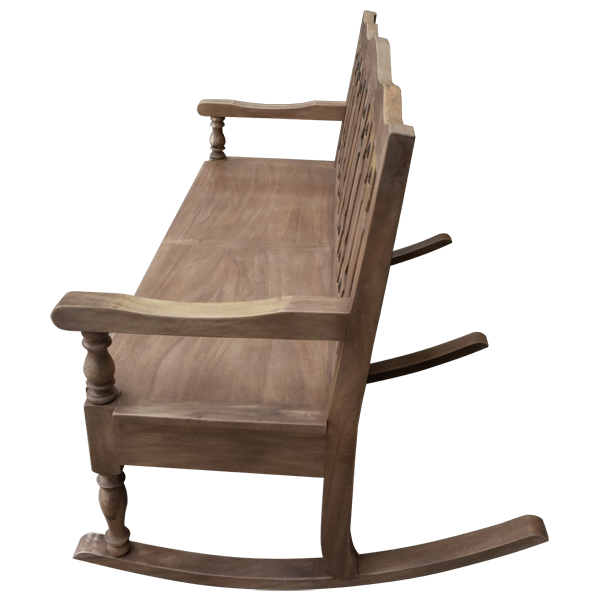 The seat has a curved apron on its front, and the bench is supported by three, hand turned legs in the front, and three, slightly, splayed, square cut legs in the back. 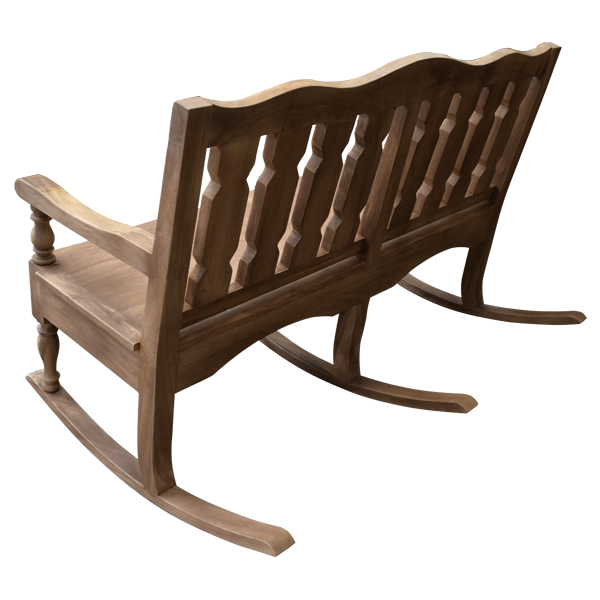 Each set of legs rest on a solid wood, curved rocker. It has a natural, light finish, and it is made with the best, sustainable, solid wood available. The bench is 100% customizable.